The Nintendo Switch launch brought both excitement and confusion for gamers around the globe. While it was great to see the all-new machine, details like its launch title list and online subscription model remained confused even after the official unveiling. 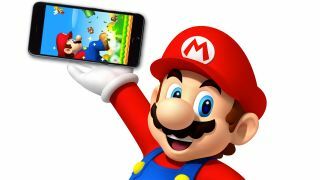 Likewise, news that it would require a smartphone app to perform voice messaging was met with derision - not least of all because Nintendo failed to share exactly how it would work. Now a press release concerning shoot-em-up sequel Splatoon 2 has shed a little more light on how the Nintendo Switch app will work, if not fully clearing things up. "Splatoon 2 will be compatible with an upcoming Nintendo Switch app for smart devices that enhances online play," reads the Nintendo release. "This app will connect to the game and allow players to set play appointments with friends who have been added to their Nintendo Switch friend list or via their social media accounts." Being able to tap into existing social media accounts and scheduling play sessions sounds great - it shows Nintendo opening up a little, where in the past it's questioned the family-friendly nature of third-party networks, and relied on frustrating friend codes to connect players. Planning out multiplayer sessions in advance is welcome too (though having the functionality native to the console would of course be preferable). "[The app] also allows players to match up with those friends directly in the game or voice chat with them via their smart device." "[...]During a Private Battle, players can voice chat with all of their connected friends when they divide into teams, but once teams are set, voice chat is switched to communication only between teammates on the same team." So it's a mixed bag then - while relying on a smartphone is more convenient than requiring an additional chat dongle (as the Wii U did), it's still more convoluted than the built in methods employed by its PS4 and Xbox One rivals.